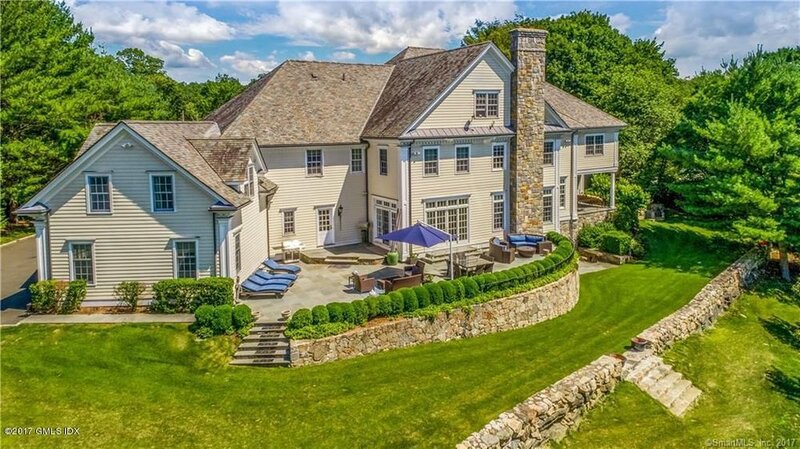 398 Stanwich Road, cut to $4.450 million. It sold new for $5.5 million when it was new in 2004, tried for $6.385 in 2008, after improvements, but eventually sold to these owners in 2010 for $5.695. They, in turn, have been attempting to sell it since 2012 (as I recall, the owner was an oil trader, and got transferred back out of the country after he'd just barely settled in). Opening price then was $5.695 and, as we see, today it's down to $4.5. My advice to the relocation company that's saddled with this place is, keep going. This is not an entirely terrible house: it's a Jordan Saper creation, which speaks to high quality, but that also means a Saper design, with room dimensions included, and Saper homes haven't held up well in the resale market. Note that 398 Stanwich is located exactly across from the entrance to Rock Maple Road: 75 Rock Maple sold last week for $5.695 million. That's obviously more than 398's current price, but it's just about what 398 was originally priced at.